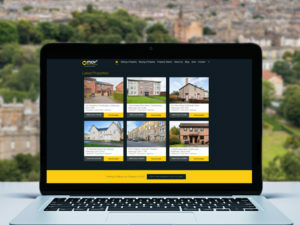 With parents across Scotland and shedding a tear after sending their kids off to school for the first time or breathing a quiet sigh of relief that they have some peace a quiet now that the schools are back, property news has continued unabated. Here are the top stories from the past month as well as our view on what has been happening in the property market! 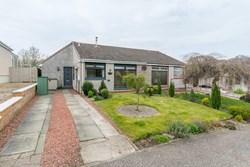 The Herald this month reported that house price growth in Scotland is at a four year high, with property prices rising at the fastest pace in four years. 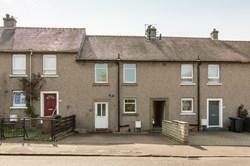 (http://www.heraldscotland.com/news/home-news/property-prices-rise-at-fastest-pace-for-four-years.25025063) The average house price has risen by 5.7%, with the average house price in Scotland coming in at £164,105, compared to the same period last year. This is the highest increase since September 2010. Meanwhile, while there is a cool down being reported in the London market, Scottish house prices will continue to steadily rise, according to surveyors. 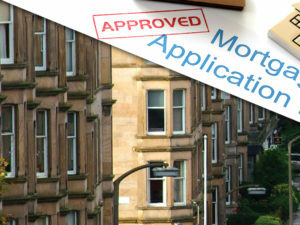 (http://www.heraldscotland.com/news/home-news/optimism-over-scots-house-prices.25031343) In a survey carried out by the Royal Institute of Chartered Surveyors in Scotsland (RICS), it was suggested that ­optimism is growing, with 32 per cent of respondents expecting house prices to increase over the next 12 months. The Bank of England has said that a cooldown in the overheated London market will begin to take effect next year, but evidence suggests that the same will not happen in Scotland, primarily because the housing market in Scotland continues to show an imbalance between supply and demand and this impacts on prices. 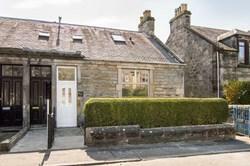 A report by property website, S1homes, also indicated an improvement in the health of the Scottish property market. Their Quarterly Scottish House Price Report reports on the ‘Reality Gap’, the difference between what sellers expect and what they actually achieve. The report showed that across Scotland, the increase in the average selling price by over £8,500 has reduced the Reality Gap to less than 1 per cent. 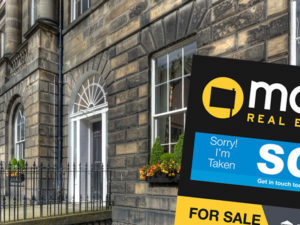 Specifically in Edinburgh, the report showed that properties are typically selling above their asking price, with the average asking price increasing by £6,000 in the last Quarter and the average selling price increasing by £12,500. This survey is absolutely in line with what we are seeing in the market in Edinburgh at the moment, as we have been seeing rising prices across the board in Edinburgh and the Lothians for the past few months. The price rises that we have been seeing are not as dramatic as they were during the housing ‘boom’ that led-up to the housing market crash during the credit crunch, starting in 2008, and they hopefully represent a more sustainable level of growth. Is the Upcoming Referendum Having an Effect on Property Prices? There has also been some talk in the Press from industry commentators in Scotland about the upcoming Independence Referendum. 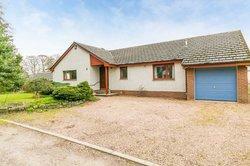 Some have been saying that it has had an impact on buyer and seller confidence in Scotland. Whilst we cannot talk for all buyers and sellers in Scotland, and we most certainly do not want to get embroiled in the increasingly-fractious and heated independence debate, we can only report on what we are actually seeing happening in Edinburgh, the Lothians and the Scottish Borders, where we list and sell the majority of our clients’ properties. In the past month, our Valuation Team is reporting above-average numbers of new clients having decided to take the plunge and put their properties on the market, with the number fast-approaching 100 for August. In turn, our Property Sales Team is about to hit a department record for the number of properties sold and the number that we have purchased on behalf of our buying clients, with that number having just passed the 100 mark too. Anecdotally at least, therefore, it appears that the property market is in pretty rude health and that, whatever side of the Yes/No fence you sit on, the one thing that we can be certain of at the moment is that the demand for quality properties remains strong and that prices appear to be heading progressively in the right direction! That, absolutely, is the last that I am even going to mention the ‘I’ word, for fear of starting a completely non-property related debate and I’d respectfully ask that, whatever your views, you save them for the Comments section of websites other than this…[I can only ask!]. A new report carried out by property website, Zoopla, has shown that UK homeowners are concerned about the difficulty of getting a mortgage. (http://www.independent.co.uk/property/homeowners-say-getting-a-mortgage-is-becoming-harder-9635370.html) Zoopla’s survey of 7,810 homeowners shows that around 40% believe it is now harder to secure a mortgage then it was three months ago. This stems from concerns that the introduction of the Mortgage Market Review (MMR) and new lending rules have slowed down the application process and made it more difficult to secure finance. However, according to the Bank of England, the mortgage sector is on the up. The Bank of England released statistics which showed that the number of mortgage approvals is actually increasing, with 67,196 in June compared to 62,007 in May. The Executive Director of the Intermediary Mortgage Lenders Association has been quoted saying that this should not cause alarm that this will incur further intervention to curb lending. This shows that despite the new regulations in place, lenders still appears to be willing to lend to applicants who meet their criteria. With waiting times for an appointment with lenders having increased significantly because of the Mortgage Market Review, it really is worth approaching an independent mortgage adviser who can advise impartially on deals not just from your existing lender but from the whole of the market. With some of our clients reporting waiting times of several weeks, potentially jeopardising their chances of securing the house of their dreams, independent mortgage advisers can significantly increase your chances of getting your dream home, reduce waiting times and take the hassle out of the purchasing process. What’s more, it’s a free service! 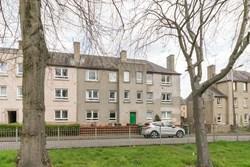 Is Scottish Independence Referendum Affecting House Prices?